Many people and companies use keypads to protect important items or areas. If you wish to bypass a keypad, you have only two options: use a bypass key or manually break the seal of a lock or door. Since breaking a seal causes long-term damage and may be illegal, you should use a bypass key. If the lock or safe does not have a key slot, it may be impossible to bypass the keypad. Bypass a keypad with the manager key. Attempt to enter the correct code into the keypad. The length of the code varies by keypad, lock and safe type but most codes are two to 12 digits in length. Attempt to enter birthdays, anniversaries, phone numbers and other other numbers of significance, such as years of graduation. The keypad will lock out for one to five minutes after three to six incorrect attempts. Locate the bypass key for the lock or safe. 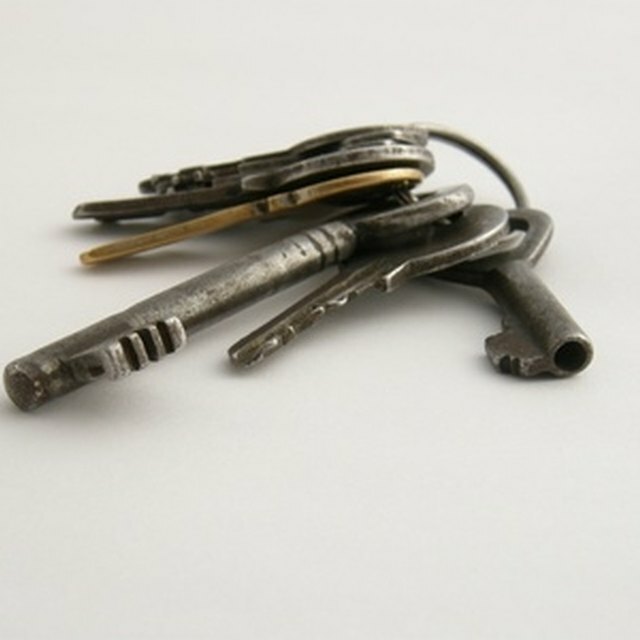 This bypass key, sometimes called a manager key, should be located in a safe place, such as a desk drawer, a key ring, a dresser or on your person. Contact the safe or lock manufacturing company if you cannot locate your key. Visit the company's website to find the customer service hotline. Call the hotline and request that the company send you a new bypass key. You may have to give the hotline important information such as purchase date, serial number and your contact information. Touch the key to the key slot of the safe. Pull the handle and open the safe or door.